The 4D Bladder ultrasound scanner is a portable ultrasound device that measures bladder volume to assess urinary retention and post‑void residual (PVR) bladder volume, to help to diagnose urological conditions and post‑operative recovery without needing urinary catheterisation. The 4D Bladder ultrasound scanner, like other portable bladder ultrasound scanning technologies, works by sending high‑frequency sound waves into the body from a transducer probe placed on the skin of the abdomen. Some of the sound waves are reflected back towards the probe, which detects these reflected sound waves and passes the information back to the ultrasound machine. 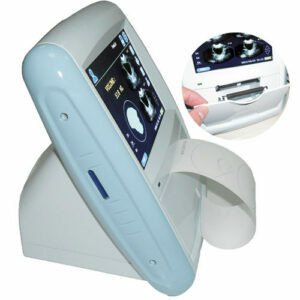 The 4D Bladder ultrasound scannere uses this information to construct a picture of a 2D ‘slice’ through the body. Immediate catheterisation of people with acute UR and urinalyses to screen for haematuria and UTI, by dipstick testing or microscopic examination of the sediment. Uroflowmetry to assess the flow rate of urination. Urodynamic testing, which can include catheterised or ultrasound measurement of PVR volume. Renal ultrasonography for people with abnormal renal function. Cystoscopy to examine the inside of the bladder.